We started the 2016-2017 B’mitzvah season with a grand slam! 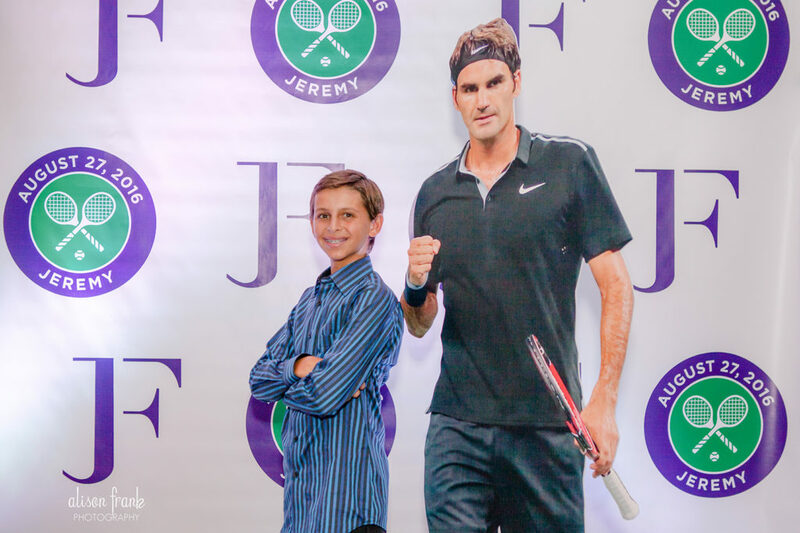 Our young guest of honor is an avid tennis player and fan, so it was an obvious choice to create his Bar Mitzvah around the popular sport. We started with the custom logos which were inspired by the world renowned tennis tournament and champion player, Roger Federer. Upon creating, we determined the signature colors to be purple, green and white. 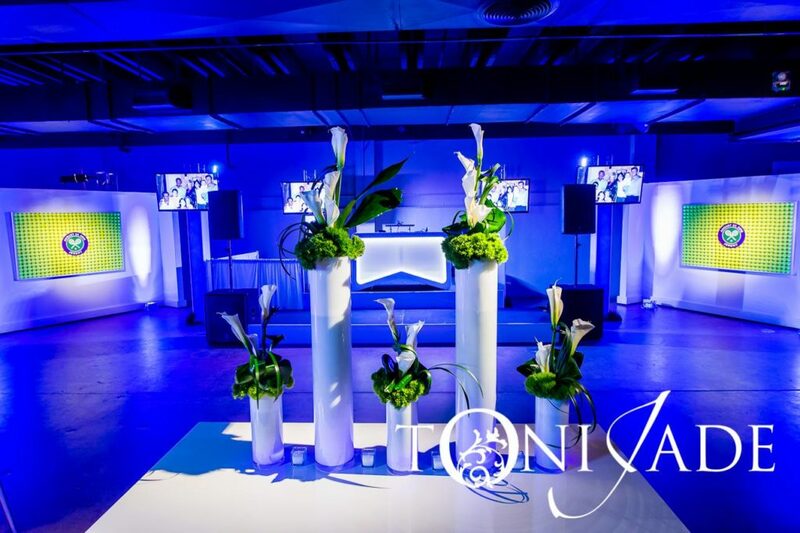 The rich hues were sure to follow our vision which was simple, sleek and clean. It was to have an urban feel, but yet modern appeal and resemble the look one would find at the Wimbledon tournament in London. 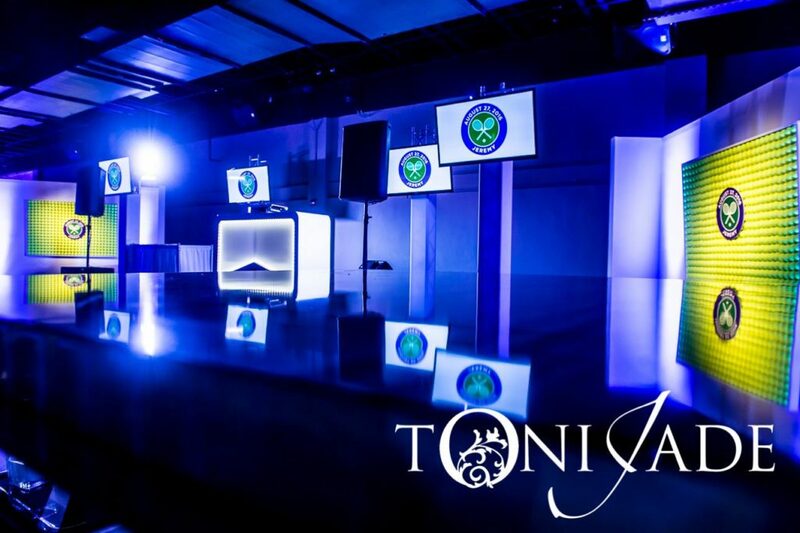 Galaxy Productions understood this perfectly, and was up to the challenge to make all our visions come to life. 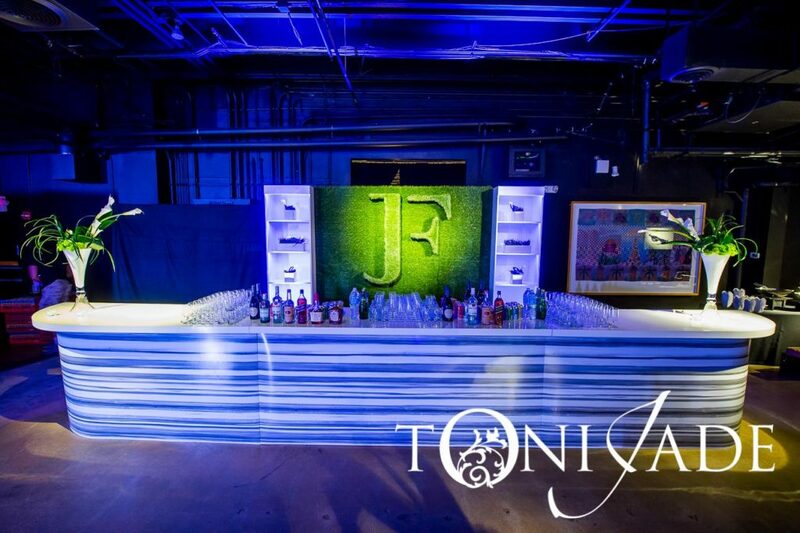 These visions included the 3D custom logo grass bar back and tennis ball wall images. As always, Chad from Galaxy delivered exactly what we wanted for our client. 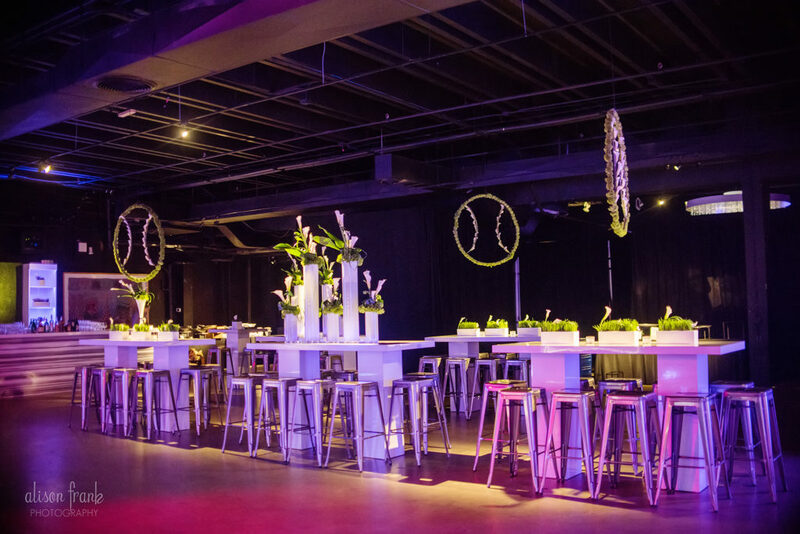 Centerpieces were not just placed on tables, but hung from the rafters above to replicate a floral version of a tennis ball. 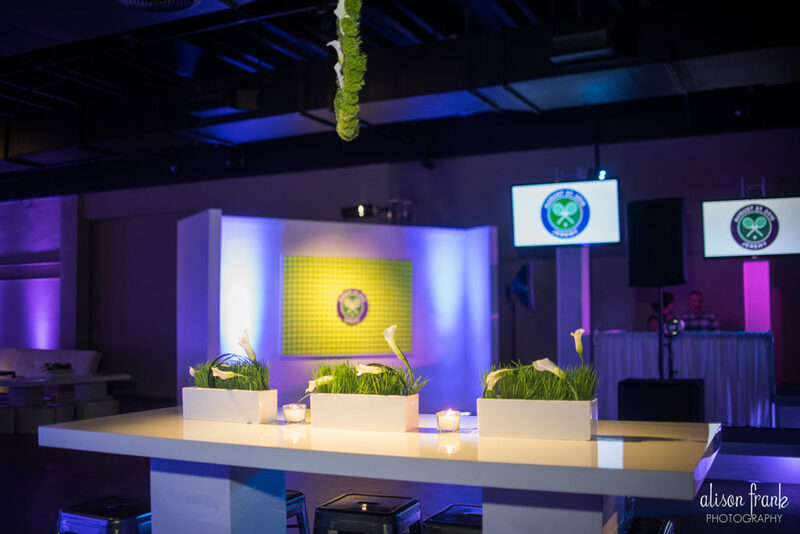 Calla Lily and green moss adorned the hanging circular structures and more Calla Lilies were placed in rectangular troughs among wheat grass. Upon arrival, guests were greeted by life-size replicas of the most well-respected tennis champions: Federer, Djokovic, Nadal and Murray. They provided the perfect photo opportunity before entering the large cocktail space at Gallery of Amazing Things. This hour was all about the warm-up prior to the big match. Rock With U Entertainment made quite a “racquet” playing plenty of “hits” throughout the night while Bill Hansen Catering “served” a variety of choices on buffet displays. The evening scored a few more points when a food truck arrived to serve up New York style pizza for those late night munchies. 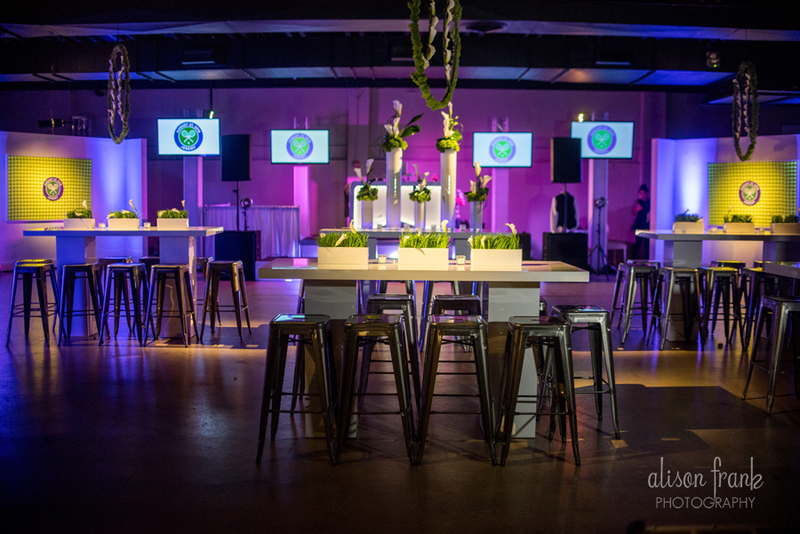 All you need is LOVE for a STYLED EVENT. 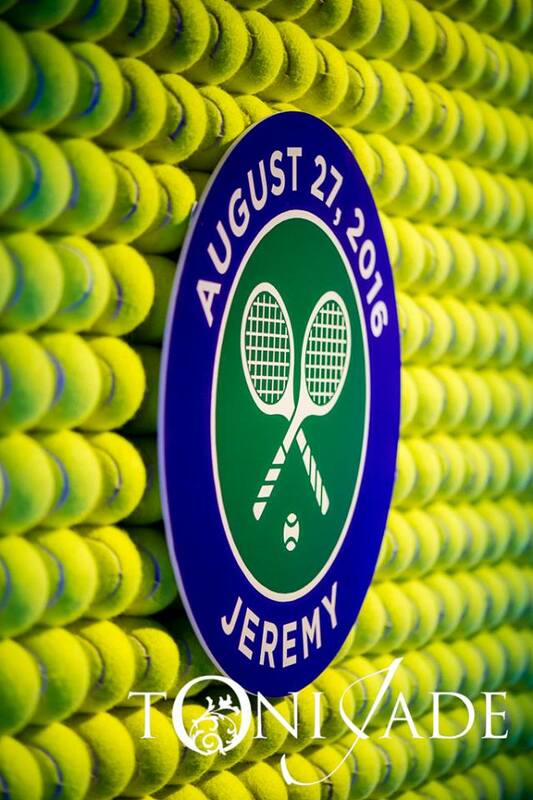 Mazel Tov to Jeremy and his family! 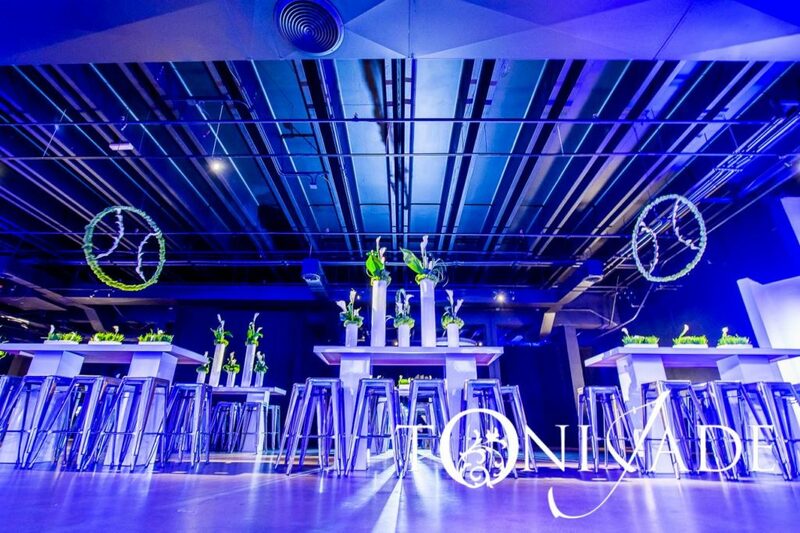 For more information on Jennifer Keller Styled Events, please visit our website, like us on Facebook and follow us on Twitter, Pinterest and Instagram.